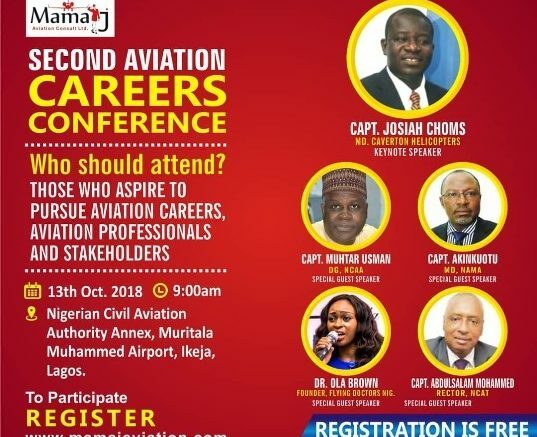 The Second Career Conference is scheduled for Saturday, October 13, 2018 at the Nigerian Civil Aviation Authority (NCAA) Annex, Murtala Muhammed Airport (MMA), Lagos. 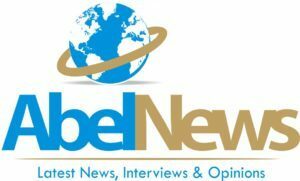 “The Aim of the conference is to introduce and mentor aspiring next generation of aviation professionals and participants on the many career opportunities that exists in the aviation Industry as well as celebrate and honor outstanding aviation professionals, stakeholders who have contributed immensely to capacity building in the aviation industry,” the organiser said. MamaJ Aviation Consult Limited is an Aviation Company which specializes in the hosting of events, seminars, training of aviation personnel and an online media platform with focus on Aviation News. The Company is made up of well experienced Aviation professionals. On the objectives of the conference, MamaJ said it is to highlight the valuable and strategic role of human capital development in the aviation industry in Nigeria and to emphasise the role of career guidance in capacity building. Others objectives includes: to introduce the youths and invited guests to the many career opportunities that exists in the aviation industry, keep aspiring aviators abreast of their career choice and help them identify the key skills required, mentor and offer career guidance to the youths, create a platform for professional and aspiring aviators to connect and share knowledge and to connect aspiring youths with the relevant aviation training organization. 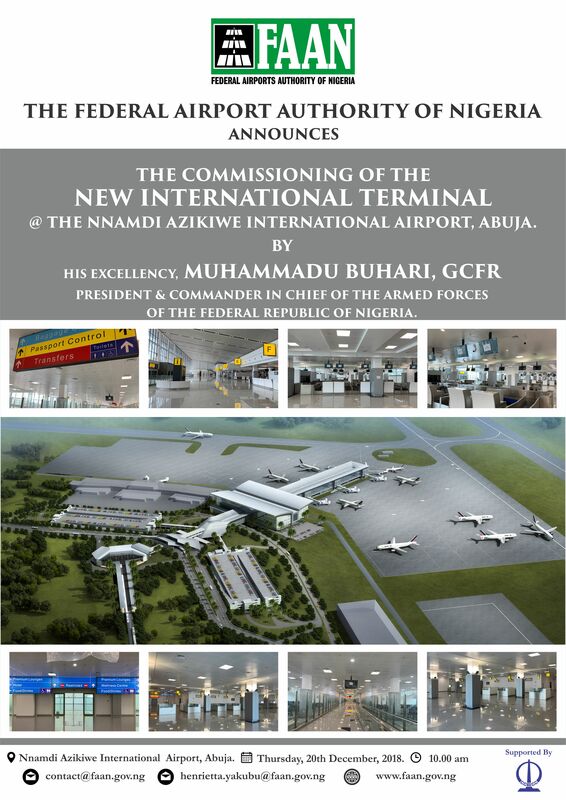 Be the first to comment on "MamaJ Organises Conference To Educate Aspiring Youths On Aviation Opportunities Oct. 13"